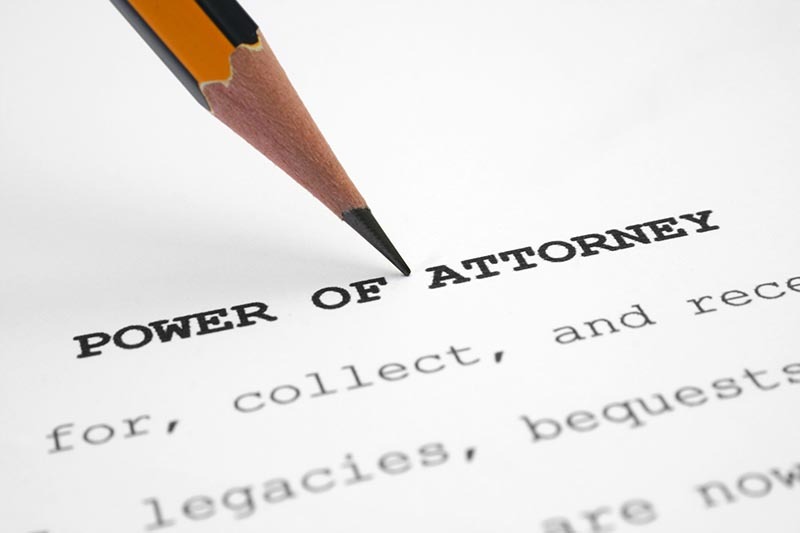 How is a Power of Attorney different from a Personal Directive? Discussing death is uncomfortable but you need to prepare your family. Here are the differences between personal directive and power of attorney in Alberta. Life can change in a minute. No warning, no time to prepare, one minute can leave you incapable of making a decision. Your loved ones may not know what choices to make. They may not be legally allowed to make decisions if you don't have the right legal documents. It's advisable to prepare a personal directive and power of attorney in Alberta. This ensures everyone understands your wishes if you're incapable of making decisions. Keep reading for more on writing a personal directive and power of attorney in Alberta. What's the Rush? Why Now? There's no time like the present to have a personal directive and power of attorney in Alberta. Thousands of families go through emotional and financial heartache because loved ones don't. Without proper legal documents, families are powerless or face lengthy, expensive court proceeding. Disagreements and misunderstandings are more likely if there aren't instructions decreed. It's not enough to tell your loved ones what you want. You'll give everyone peace of mind if they know your wishes. This is possible by completing a personal directive and power of attorney in Alberta. Lawyers, judges, and medical professionals can't make decisions without the right documents. These two documents may look similar, but they're not one and the same. The main distinguishing factor is what aspects of your life they pertain to. This document states your wishes. It appoints who's responsible if you can't advocate for yourself. There are two types of power of attorney in Alberta, immediate and enduring. Each covers different circumstances. These important differences appear as we delve into the nitty-gritty of each document. Why Isn't a Will Enough? A will is a principal part of estate planning, but it doesn't protect your wishes while you're alive. It documents what happens to your physical possessions and assets after you die. Each facet protects your wishes in specific equally important areas. With these documents, your loved ones will know your preferences without any guesswork. No one likes to think about dying, but there's good reason to write down your wishes. It's a smart idea to seek legal counsel when planning your estate and writing a will. There are two types of last will and testaments accepted in Alberta. A formal will must have two witnesses and signed by the individual. It's usually kept by an attorney or the assigned executor. A holograph will is handwritten and signed. No typing or other print may appear on it, and it's easier for others to contest than a formal one. The person you appoint as the executor of the estate ensures the terms of the will. This may include meeting legal responsibilities like probate and obtaining counsel. They would care for all financial obligations and divide the remaining assets. Many people will be familiar with the term living will. They typically focus on the end of life care and resuscitation directives. Personal directives are a document of your desires in case you're unable to express them. Personal directives may include the end of life care instructions. They cover a much more comprehensive mandate. Illness or injury can quickly leave you unable to communicate. You may develop dementia and be incapable of making important decisions. A personal directive's written while you're capable in case a time comes when you are not. It's determined by a capacity assessment. A capacity assessment considers your ability to understand. You must know the factors to take into account during the decision-making process. There must be two valid assessments of your competence. You can name a trusted loved one, or hire a physician or psychologist to perform the assessment. If you didn't list a loved one as an agent, the duty would fall on two medical professionals involved in your care. If you regain competence, you get reassessed and your decision-making ability reinstated. Otherwise, the person appointed in your personal directive will remain your decision maker. Most people want a loved one they trust to make decisions for them in case something happens. Others don't want to leave their loved ones in the tough position of having to make life and death decisions. It's a burden they prefer to leave with qualified professionals. Appoint one or more loved ones you trust to make decisions on your behalf. You can choose what areas of your life each person will oversee or ask that they jointly decide. Alternative names are for instances where the primary agent is unable to fill the role. The Office of the Public Guardian and Trustee is available to fill the role if no family or friends are able to. They're named as your appointed decision maker within your personal directive. Write instructions on what decisions you want to make in various circumstances. Instructions and directives are in the document but no agent's named. A personal or advanced directive covers areas of your life not related to finances. It gives instructions for what decisions you would want and who you want to make them. You can choose an individual agent or more than one to care for your physical and emotional needs. If you become incapable of communicating your wishes, then your agent would do so for you. If you become incapable of giving consent for a medical procedure a designated agent(s) will. Many people include their end-of-life instructions for extreme measures. Care and education of children or other dependents can be in your personal directive. This gives the person the ability to ensure their care while you're incapable of doing so. Agent(s) are responsible for your dependents until courts appoint a legal guardian. Your personal directive may also include instructions and information related to your preferences. This may be cultural, religious beliefs or pertinent details that clarify your wishes. This step will help your agent(s) and medical personnel provide the best care possible. Information on specific medical procedures and personal preferences you can record here. You may wish to have a Do Not Resuscitate order or organ donor information listed. Instructions on blood transfusions or other treatments get included in your directive. You need to document all the details then you will want to date and sign it. You should have a copy for your records, and give a copy to the agent(s) listed. You should register your personal directive with the province. Even if you are capable of making your own decisions, sometimes it's nice to have a little help. A supported decision-making agreement makes this legally possible. You can set up an agreement that allows a loved one or chosen agent to access your personal information. They should get involved in the communication and decision process. They can help you prepare and make informed decisions in life. This gives you support and allows them to keep apprised of your condition. They will get information on care plans to consider. You may appoint up to three agents to help with decision making. These supports will be able to access your personal health information as authorized by you to do so. They can then obtain all necessary information and discuss with you. Together you can choose the best options for your care plan. They would then be able to communicate your decision on your behalf to the healthcare team. A supported decision-making directive does not have to get filed with the government. You can write one and keep it in your personal records in case a time comes that it's needed. Life can change in a minute. If you don't have a power of attorney in Alberta, your loved ones may not be able to make any financial decisions for you. Many assume that a spouse or child can automatically take over. They may have to go to court to get permission to do so. There are two types of power of attorney in Alberta. An enduring and an immediate power of attorney are very different in some aspects. They both deal with your financial matters, one is for when you're incapacitated. It takes effect when you cannot make decisions. The other is for a period of time when you are not available to make decisions. An immediate power of attorney in Alberta is for when you're unable to tend to financial matters. If you're out of the country or immobile. Someone else has the authorization to take care of financial matters in your absence. You may be traveling to Europe and need your daughter to ensure your bills get paid while you're there. Or you may need your son to take care of financial matters while you're recovering from hip surgery. An immediate power of attorney in Alberta is void if you become incompetent. Your enduring power of attorney or personal directive would then get implemented. You can still make financial transactions under an immediate power of attorney. Both you and your agent would be able to do so. You both would be able to deal with real estate, financial, and home issues within document terms. You do not lose the power to make decisions or complete financial transactions under an immediate power of attorney in Alberta. Both you and your agent would be able to do so. An enduring power of attorney in Alberta is if you're incapable of handling financial matters. In this case, your enduring power of attorney would become responsible for it. The attorney named would not make personal decisions regarding where you live or what's best for your quality of life. This is covered in your personal directive. He may have to work in unison with the agent of your personal directive to provide the finances for your needs. A power of attorney in Alberta agreement becomes a legal document as soon as it is dated and signed by you with witnesses present. It would take effect as specified in the document. This could be for the time outlined (such as the month you are away in Europe) for immediate. For enduring it's when you're incapable of making decisions yourself. Competence gets decided by an agent(s) you appoint and professionals caring for you. If you regain your ability to make decisions, the document can then become revoked. Your decision-making power would then get reinstated. Now is the time to make sure you are protected in the future. A personal directive and power of attorney in Alberta ensure others know the care you want. It helps loved ones know what your wishes are and provides you with a way of communicating when you are unable to. It's always a good idea to obtain legal counsel and advice. Then you can have peace of mind today knowing you are protected in the future. Check out our blog for more information on protecting yourself! This entry was posted in power of attorney alberta by verhaeghelaw. Bookmark the permalink.